user warning: Table './active5_foxes/cache_filter' is marked as crashed and should be repaired query: UPDATE cache_filter SET data = '<p><img alt=\"\" src=\"http://www.catchingfoxes.com/sites/www.catchingfoxes.com/files/resize/blog/iStock_000027546708Small-486x323.jpg\" style=\"width: 486px; height: 323px; border-width: 5px; border-style: solid; margin: 10px;\" title=\"\" width=\"486\" height=\"323\" /></p>\n<p>It seems we&#39;ve always had to cope with our children being away from home on Christmas.</p>\n', created = 1555819842, expire = 1555906242, headers = '', serialized = 0 WHERE cid = '2:f49e979e0b1546cc19d50f721b9761ff' in /home/active5/public_html/drupal6_multisite/includes/cache.inc on line 108.
user warning: Table './active5_foxes/cache_filter' is marked as crashed and should be repaired query: UPDATE cache_filter SET data = '<p>She couldn&#39;t concentrate on the work and smile for the camera at the same time. Sunday night pretzels. 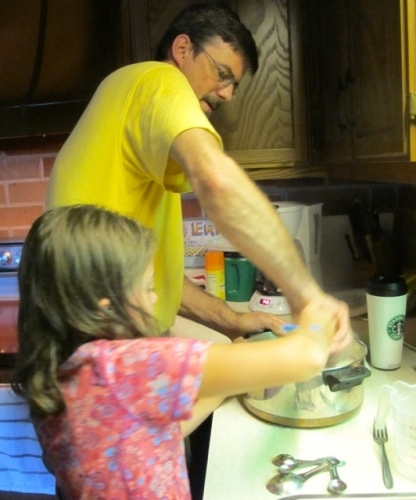 An Uncle Rich tradition for 20 years and tonight Ellie was assigned the responsibility of helping to make dinner for everyone attending the family reunion.</p>\n<p>They mixed yeast and water and flour in an old pot because the cottage lacked mixing bowls. She learned to improvise when given a new set of circumstances.</p>\n<p class=\"rtecenter\"><img alt=\"\" src=\"http://www.catchingfoxes.com/sites/www.catchingfoxes.com/files/resize/blog/IMG_0496-416x500.jpg\" style=\"width: 416px; height: 500px; border-width: 5px; border-style: solid; margin: 10px;\" title=\"\" width=\"416\" height=\"500\" /></p>\n<p>She may have kneaded dough in the past, but this was new. 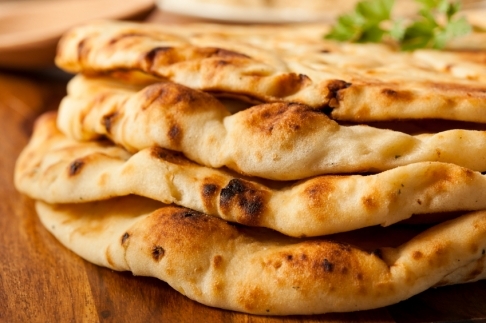 Every adult uses slightly different words to describe the texture of their dough. She listened attentively. He waited patiently while she learned their new shared language for the task. Sometimes there were no words at all. Just time. And texture. And working together.</p>\n', created = 1555819842, expire = 1555906242, headers = '', serialized = 0 WHERE cid = '2:1bfa72168e28c991c5248db28d7ca1f8' in /home/active5/public_html/drupal6_multisite/includes/cache.inc on line 108.
user warning: Table './active5_foxes/cache_filter' is marked as crashed and should be repaired query: SELECT data, created, headers, expire, serialized FROM cache_filter WHERE cid = '2:c5857027b617df8d076490ff58fc6b5f' in /home/active5/public_html/drupal6_multisite/includes/cache.inc on line 25.
user warning: Table './active5_foxes/cache_filter' is marked as crashed and should be repaired query: UPDATE cache_filter SET data = '<p class=\"rtecenter\" style=\"\"><img alt=\"\" src=\"http://www.catchingfoxes.com/sites/www.catchingfoxes.com/files/resize/blog/Super%20Stuffed%20Tortillas-486x346.jpg\" style=\"width: 486px; height: 346px; border-width: 5px; border-style: solid; margin: 10px; \" title=\"\" width=\"486\" height=\"346\" /></p>\n<p>One of my biggest struggles is eating healthy when I live with a lot of guys who prefer meat and potatoes, bread and butter.</p>\n<p>It wasn&#39;t always like this. When my father moved in three years ago, one of the most dramatic changes that took place in our home was our meal time. His preference for comfort food with lots of butter and my weakness of being a people pleaser resulted in some changes in our family eating. &nbsp;I started serving a lot more meat than we had eaten in the past. &nbsp;A lot more big meals. And a lot more desserts. The net outcome hasn&#39;t been good for my waistline.</p>\n', created = 1555819842, expire = 1555906242, headers = '', serialized = 0 WHERE cid = '2:c5857027b617df8d076490ff58fc6b5f' in /home/active5/public_html/drupal6_multisite/includes/cache.inc on line 108.
user warning: Table './active5_foxes/cache_filter' is marked as crashed and should be repaired query: UPDATE cache_filter SET data = '<p class=\"rtecenter\" style=\"\"><img alt=\"\" src=\"http://www.catchingfoxes.com/sites/www.catchingfoxes.com/files/resize/blog/Aug%20with%20Text-486x386.jpg\" style=\"width: 486px; height: 386px; border-width: 5px; border-style: solid; margin: 10px; \" title=\"\" width=\"486\" height=\"386\" /></p>\n<p class=\"rteleft\">I wish I were more Christ-like. &nbsp;Especially when when all the men are hungry. &nbsp;</p>\n<p class=\"rteleft\">Can you image? &nbsp;Just five loaves of bread, two fish, one prayer, and all the men are satisfied? &nbsp;I want to go to that cooking school!&nbsp;</p>\n<p>Unfortunately, it doesn&#39;t happen like that here.</p>\n<p>My guys help me a ton around the house and will fix meals when I ask for help. But the bottom line is that everyone is happier when I make the plan, do the shopping, and get the meals on the table. My Christ-likeness is going to have to come through serving cheerfully.</p>\n', created = 1555819842, expire = 1555906242, headers = '', serialized = 0 WHERE cid = '2:a0f8e1829f00520f65f576c6bd894a7c' in /home/active5/public_html/drupal6_multisite/includes/cache.inc on line 108.
user warning: Table './active5_foxes/cache_filter' is marked as crashed and should be repaired query: SELECT data, created, headers, expire, serialized FROM cache_filter WHERE cid = '2:cadb4fee3a1ccd56d912cfe76c7517b2' in /home/active5/public_html/drupal6_multisite/includes/cache.inc on line 25.
user warning: Table './active5_foxes/cache_filter' is marked as crashed and should be repaired query: UPDATE cache_filter SET data = '<p class=\"rtecenter\" style=\"\">\n	<img alt=\"\" src=\"http://www.catchingfoxes.com/sites/www.catchingfoxes.com/files/resize/blog/IMG_1583-426x320.jpg\" style=\"border-width: 5px; border-style: solid; margin: 10px; width: 426px; height: 320px; \" title=\"\" width=\"426\" height=\"320\" /></p>\n<p class=\"rteleft\">One of my goals over Memorial Day weekend was to make menus for the next two weeks and get the grocery shopping accomplished. With the chaos of finishing my college classes and out of town company at the house for celebrations, it felt great to plan for some normal days. I love party days, but I also like normal days, and making normal days feel like a party.</p>\n<p class=\"rteleft\">I&#39;ve seen posts on Pinterest for chocolate ice cream bowls.</p>\n<p class=\"rteleft\">Side note - Are you on Pinterest? I am addicted! &nbsp;<a href=\"http://pinterest.com/kimmrankin/\">Follow me here.</a></p>\n<p class=\"rteleft\">Those chocolate bowls gave me an idea. I decided to try making cookie bowls this weekend.</p>\n', created = 1555819842, expire = 1555906242, headers = '', serialized = 0 WHERE cid = '2:cadb4fee3a1ccd56d912cfe76c7517b2' in /home/active5/public_html/drupal6_multisite/includes/cache.inc on line 108.
user warning: Table './active5_foxes/cache_filter' is marked as crashed and should be repaired query: SELECT data, created, headers, expire, serialized FROM cache_filter WHERE cid = '2:97903be3201dd870fa2407050e008ca0' in /home/active5/public_html/drupal6_multisite/includes/cache.inc on line 25.
user warning: Table './active5_foxes/cache_filter' is marked as crashed and should be repaired query: UPDATE cache_filter SET data = '<p>This is not a cooking blog. &nbsp;Nor will it ever become one, because quite simply, I don&#39;t really enjoy cooking. &nbsp;In fact, at one point this last week, I seriously considered making my Facebook status be &quot;I HATE COOKING!&quot; &nbsp;But my father once told me hate is too strong of a word to use, and I thought the men of the house might read my status and put a big HELP sign in the front yard.</p>\n<p>I don&#39;t always enjoy it, but I do cook.&nbsp;</p>\n<p>And I do try to make it somewhat appealing, especially on Sundays.</p>\n', created = 1555819842, expire = 1555906242, headers = '', serialized = 0 WHERE cid = '2:97903be3201dd870fa2407050e008ca0' in /home/active5/public_html/drupal6_multisite/includes/cache.inc on line 108.
user warning: Table './active5_foxes/cache_filter' is marked as crashed and should be repaired query: SELECT data, created, headers, expire, serialized FROM cache_filter WHERE cid = '2:174f350971df87919264284727b42628' in /home/active5/public_html/drupal6_multisite/includes/cache.inc on line 25.
user warning: Table './active5_foxes/cache_filter' is marked as crashed and should be repaired query: UPDATE cache_filter SET data = '<p class=\"rtecenter\" style=\"\"><img alt=\"\" src=\"http://www.catchingfoxes.com/sites/www.catchingfoxes.com/files/resize/blog/IMG_1548_0-486x365.JPG\" style=\"border-width: 5px; border-style: solid; margin: 10px; width: 486px; height: 365px; \" title=\"\" width=\"486\" height=\"365\" />&nbsp;&nbsp; &nbsp;</p>\n<p>I wanted to get two&nbsp;additional blog posts up on the theme of thankfulness, but the weekend was just too busy to get them written. &nbsp;Saturday morning started quiet and I decided to bake something pumpkin-ish to get into the thankfulness spirit. &nbsp;By the way, have you tried the <a href=\"http://www.starbucks.com/menu/drinks/espresso/pumpkin-spice-latte\">Pumpkin Spice Latte at Starbucks</a> - oh my, yummy!</p>\n', created = 1555819842, expire = 1555906242, headers = '', serialized = 0 WHERE cid = '2:174f350971df87919264284727b42628' in /home/active5/public_html/drupal6_multisite/includes/cache.inc on line 108.
user warning: Table './active5_foxes/cache_filter' is marked as crashed and should be repaired query: SELECT data, created, headers, expire, serialized FROM cache_filter WHERE cid = '2:2afaf4d7573d592e96389b85e30c9672' in /home/active5/public_html/drupal6_multisite/includes/cache.inc on line 25.
user warning: Table './active5_foxes/cache_filter' is marked as crashed and should be repaired query: UPDATE cache_filter SET data = '<p class=\"rtecenter\" style=\"\"><img alt=\"\" src=\"http://www.catchingfoxes.com/sites/www.catchingfoxes.com/files/resize/blog/IMG_5202-486x390.JPG\" style=\"border-width: 5px; border-style: solid; margin: 10px; width: 486px; height: 390px;\" title=\"\" width=\"486\" height=\"390\" /></p>\n<p>It is interesting how the Lord brings people together. For a many years, Rich and I threw a large New Year&#39;s Eve party. One year, &nbsp;a friend called the day before and asked if she could bring another family. &nbsp;&quot;You are going to love the mom!&quot; was her comment. &nbsp;I did. &nbsp;And that evening was not only the beginning of a new year, but a new friendship that has held blessings for both of us.</p>\n', created = 1555819842, expire = 1555906242, headers = '', serialized = 0 WHERE cid = '2:2afaf4d7573d592e96389b85e30c9672' in /home/active5/public_html/drupal6_multisite/includes/cache.inc on line 108.
user warning: Table './active5_foxes/cache_filter' is marked as crashed and should be repaired query: UPDATE cache_filter SET data = '<p>&nbsp;If you read just one book on opening your home to others, read<a href=\"http://www.amazon.com/Practicing-Hospitality-Joy-Serving-Others/dp/1581349424/ref=sr_1_1?ie=UTF8&amp;s=books&amp;qid=1276701372&amp;sr=8-1\"> Practicing Hospitality, The Joy of Serving Others</a> by Pat Ennis and Lisa Tatlock. &nbsp;You won&#39;t just want to read it, you will come back to it again and again. &nbsp;While Rich and I have always been convicted that our home should be a center of ministry, this book gave me the &quot;how to&quot; of hospitality in many practical ways.&nbsp;</p>\n', created = 1555819842, expire = 1555906242, headers = '', serialized = 0 WHERE cid = '2:0b15c3e74ad4289921ad90ec488ee2ce' in /home/active5/public_html/drupal6_multisite/includes/cache.inc on line 108.
user warning: Table './active5_foxes/cache_filter' is marked as crashed and should be repaired query: UPDATE cache_filter SET data = '<p class=\"rtecenter\" style=\"\"><a href=\"http://www.facebook.com/CatchingFoxes\" target=\"_blank\"><img alt=\"\" src=\"/sites/www.catchingfoxes.com/files/resize/social/facebook-64x64.png\" style=\"text-align: center; width: 64px; height: 64px; \" width=\"64\" height=\"64\" /></a><a href=\"http://pinterest.com/kimmrankin/\" target=\"_blank\"><img alt=\"\" src=\"/sites/www.catchingfoxes.com/files/resize/social/big-p-button-64x64.png\" style=\"width: 64px; height: 64px; \" width=\"64\" height=\"64\" /></a><a href=\"mailto:kim@catchingfoxes.com\" target=\"_blank\"><img alt=\"\" src=\"/sites/www.catchingfoxes.com/files/resize/social/mail-64x64.png\" style=\"width: 64px; height: 64px; \" width=\"64\" height=\"64\" /></a><a href=\"http://www.catchingfoxes.com/rss.xml\" target=\"_blank\"><img alt=\"\" src=\"/sites/www.catchingfoxes.com/files/resize/social/rss-64x64.png\" style=\"width: 64px; height: 64px; \" width=\"64\" height=\"64\" /></a></p>\n', created = 1555819842, expire = 1555906242, headers = '', serialized = 0 WHERE cid = '2:48be9f28bc948ea32b70445d0a590c98' in /home/active5/public_html/drupal6_multisite/includes/cache.inc on line 108.
user warning: Table './active5_foxes/cache_filter' is marked as crashed and should be repaired query: UPDATE cache_filter SET data = '<div class=\"fb-like\" data-font=\"verdana\" data-href=\"http://www.facebook.com/CatchingFoxes\" data-send=\"false\" data-show-faces=\"true\" data-width=\"280\">\n	&nbsp;</div>\n', created = 1555819842, expire = 1555906242, headers = '', serialized = 0 WHERE cid = '2:854065b9b61ff8596c8fa62e384317c7' in /home/active5/public_html/drupal6_multisite/includes/cache.inc on line 108.
user warning: Table './active5_foxes/cache_filter' is marked as crashed and should be repaired query: UPDATE cache_filter SET data = '<p><strong>Catch for us the foxes, the little foxes that ruin the vineyards, our vineyards that are in bloom. </strong><br /><em>Song of Solomon 2:15 NIV</em></p>\n<p>Metaphorically, the &quot;foxes&quot; are the damaging attitudes and actions that can creep in and threaten the love relationship of a couple and a home. &nbsp;Catching Foxes is committed to being a resource as you guard against the things that might injure and destroy the harvest you are striving to grow in your home.</p>\n', created = 1555819842, expire = 1555906242, headers = '', serialized = 0 WHERE cid = '2:132a8457abcc78748ef29251eaa8f1d7' in /home/active5/public_html/drupal6_multisite/includes/cache.inc on line 108.
user warning: Table './active5_foxes/cache_filter' is marked as crashed and should be repaired query: UPDATE cache_filter SET data = '<p><a href=\"mailto:kim@catchingfoxes.com\">kim@catchingfoxes.com</a></p>\n', created = 1555819842, expire = 1555906242, headers = '', serialized = 0 WHERE cid = '2:fe7b2055d10a2c25c439ca4710d86502' in /home/active5/public_html/drupal6_multisite/includes/cache.inc on line 108. One of my biggest struggles is eating healthy when I live with a lot of guys who prefer meat and potatoes, bread and butter. It wasn't always like this. 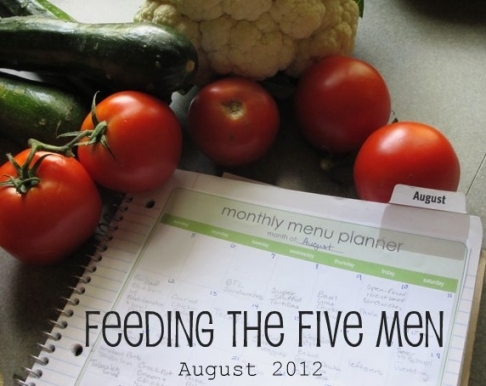 When my father moved in three years ago, one of the most dramatic changes that took place in our home was our meal time. His preference for comfort food with lots of butter and my weakness of being a people pleaser resulted in some changes in our family eating. I started serving a lot more meat than we had eaten in the past. A lot more big meals. And a lot more desserts. The net outcome hasn't been good for my waistline. One of my goals over Memorial Day weekend was to make menus for the next two weeks and get the grocery shopping accomplished. With the chaos of finishing my college classes and out of town company at the house for celebrations, it felt great to plan for some normal days. I love party days, but I also like normal days, and making normal days feel like a party. 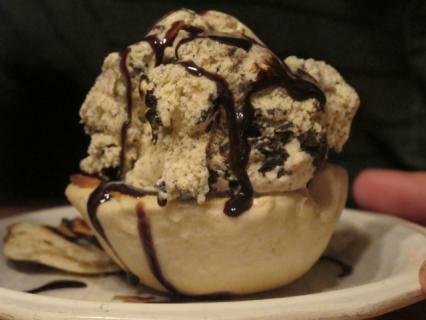 I've seen posts on Pinterest for chocolate ice cream bowls. Side note - Are you on Pinterest? I am addicted! Follow me here. Those chocolate bowls gave me an idea. I decided to try making cookie bowls this weekend. 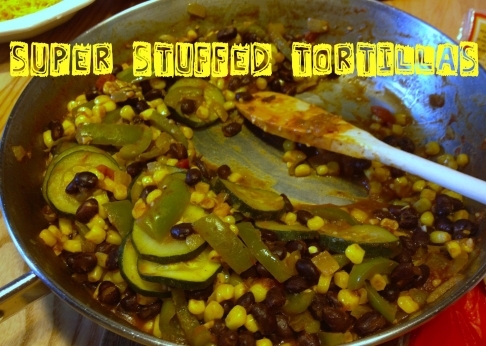 This is not a cooking blog. Nor will it ever become one, because quite simply, I don't really enjoy cooking. In fact, at one point this last week, I seriously considered making my Facebook status be "I HATE COOKING!" But my father once told me hate is too strong of a word to use, and I thought the men of the house might read my status and put a big HELP sign in the front yard. I don't always enjoy it, but I do cook. And I do try to make it somewhat appealing, especially on Sundays. I wanted to get two additional blog posts up on the theme of thankfulness, but the weekend was just too busy to get them written. Saturday morning started quiet and I decided to bake something pumpkin-ish to get into the thankfulness spirit. By the way, have you tried the Pumpkin Spice Latte at Starbucks - oh my, yummy! It is interesting how the Lord brings people together. For a many years, Rich and I threw a large New Year's Eve party. One year, a friend called the day before and asked if she could bring another family. "You are going to love the mom!" was her comment. I did. And that evening was not only the beginning of a new year, but a new friendship that has held blessings for both of us.